Once again the weather was perfect, but I guess I'll have to stop saying that since the weather always seems to be perfect in San Diego. I was actually told that the last time it rained here in August was in 1982! It seemed like yesterday I was watching Hayley Carter in the finals of the 12 and under Spring Nationals. She's grown quite a bit since then and so has her game. 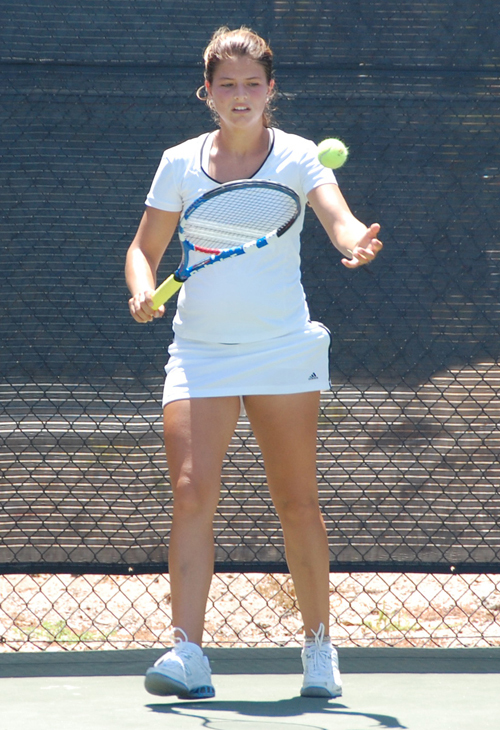 She had quite a gathering of college coaches impressed with her play on the court as she beat Lauren Stratman, 6-1,6-3. 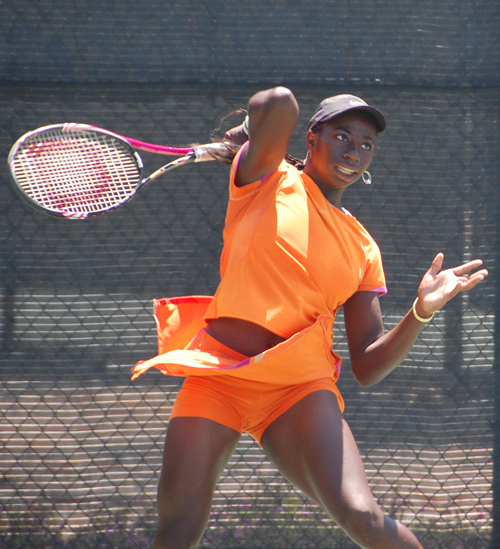 Another crowd-pleasing match in the 16s was between fourth seeded Spencer Liang and Summer Collins. Spencer survived a tough challenge for a 4-6,6-4,6-1 win. 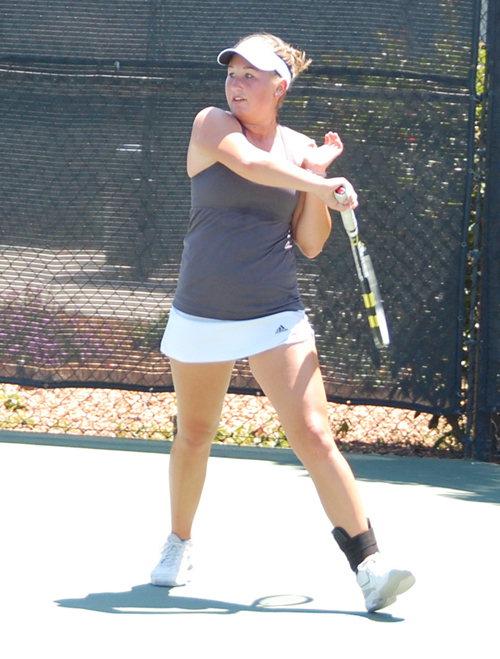 Sarah Hu earned Babolat Player of the Day honors for a great display on the court, but it was Maria Smith who squeezed by a three and a half hour match that went the distance through long points. 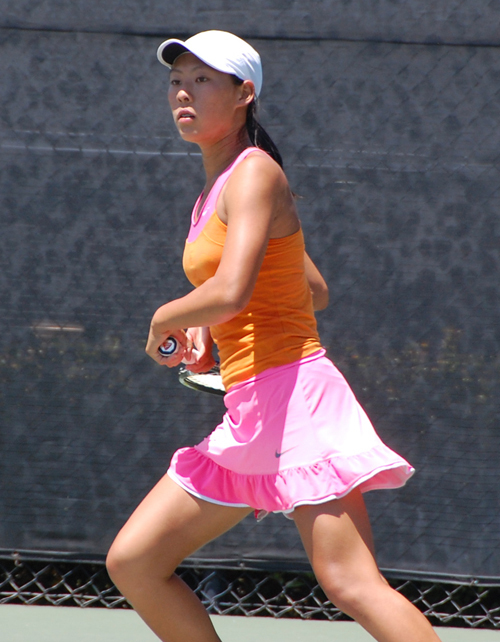 As for the rest of the Girls' 16s, they went headed into the third round with the loss of only six seeds, and only one top 10 -- Yuki Chiang (10), who fell to Hingham, Emma Alderman, 3-6,6-3,6-4. 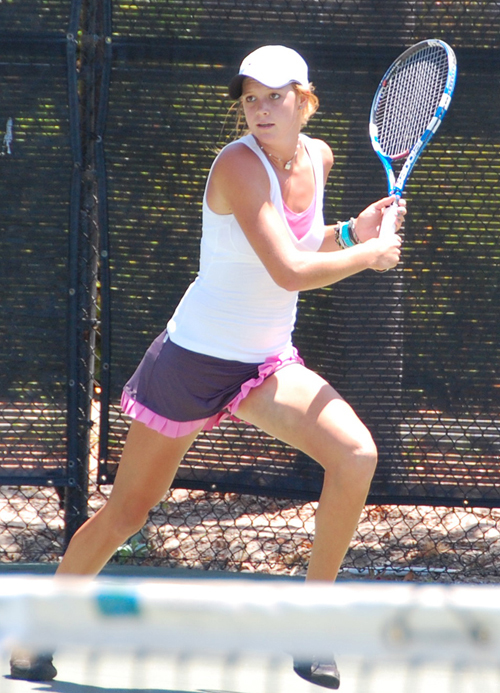 The other to drop were Lauren Marker (16) and 17-32 seeds Erin Larner, Alexandria Najarian, Brittany Lindl and Jillian Rooney. 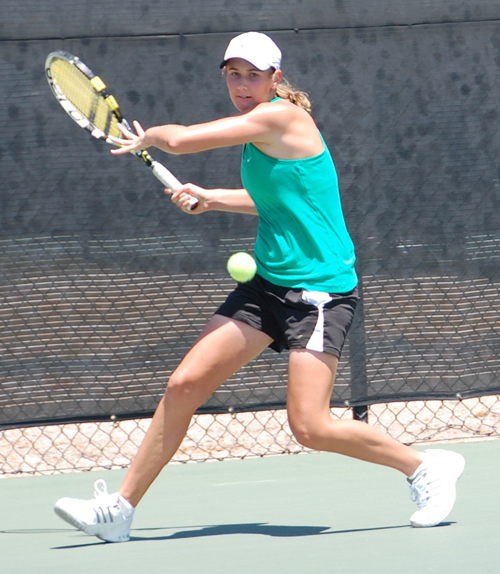 The seeds were off on Sunday in the Girls' 18s and most of the matches went quickly. 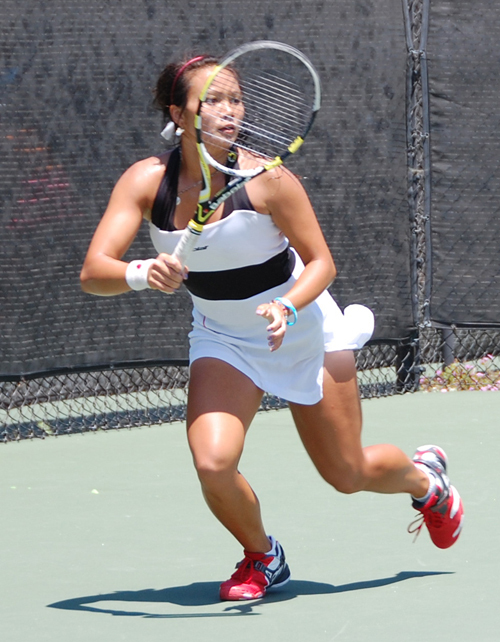 A few of the tougher competitions were: Akiko Okuda defeating Jerricka Boone, 6-3,4-6,6-1; Leighann Sahagun over Zoe Katz, 3-6,6-2,6-3; and Melissa Kopinski beating Washington's Elaine Baik, 4-6,6-4,6-2. It was a long day for me as some of my family is in town celebrating my mom's 70th birthday. We started with brunch at the Hilton San Diego Mission Valley and, after a day at the tournament, ended with dinner in Little Italy and a Burt Bacharach concert on the water at the Embarcadaro. 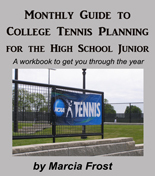 Monday morning its back at the Barnes Tennis Center site (some the girls will also be playing at San Diego State University and the University of San Diego), to catch more matches. Expect more extended coverage and Tweeting beginning Tuesday.